The Northern Provincial Council is a unique entity compared to the other eight Provincial Councils due to its actions independent of the Central Government. During their nearly three decade old history no other Provincial Council had acted so independently, as had been most of the time run by the political party that governed the Central Government. Therefore they had been working according to the wishes of the leaders of the Government in Colombo. 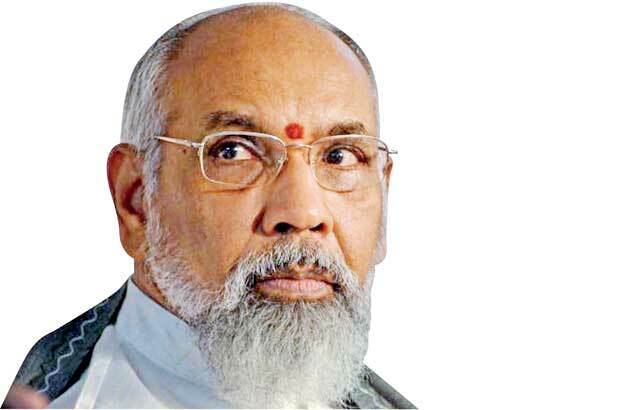 The only Provincial Council that enjoys (Though not fully) autonomy, the purpose of establishing the Provincial Councils is the Northern Provincial Council headed by its Chief Minister C.V.Wigneswaran, who is a former Supreme Court Judge. By now, Wigneswaran is independent not only of the Central Government but also of his own party - the Ilankai Tamil Arasu Katchi (ITAK) which is a constituent party of the Tamil National Alliance (TNA)-creating a rift between him and the leaders of the ITAK/TNA. Despite the decade long demand by the Tamil leaders for more powers to the NPC, the council is so autonomous that it had adopted resolutions even against the Central Government. Can one expect the Government to appoint a committee to investigate into the allegations against Government Ministers, when the anti-corruption drive in the Centre seems to be gradually being forgotten? In January 2015 Wigneswaran moved another resolution in his council claiming that genocide of Tamils had taken place during the war. During the Mahinda Rajapaksa regime, in February 2014 the NPC passed a resolution calling for an international investigation into the allegations of Human Rights violations committed during the last lap of Government’s war against the LTTE, while the Government was fighting in Geneva to prevent such an investigation from being carried out by the UN’s Human Rights Council (UNHRC). 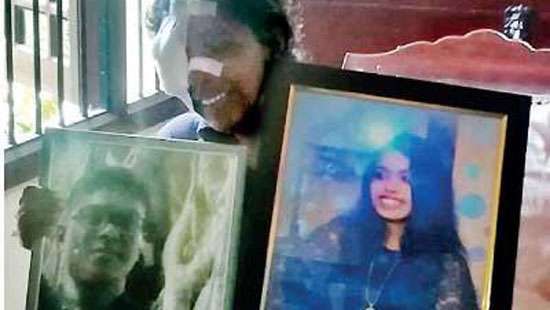 Soon after the Government led by President Maithripala Sirisena and Prime Minister Ranil Wickremesinghe came to office in January 2015 Wigneswaran moved another resolution in his council claiming that genocide of Tamils had taken place during the war. However, this notion had been rejected subsequently in a report presented in the UNHRC by the UN Human Rights High Commissioner Prince Zeid Al- Hussein. The NPC also adopted another resolution last year that called for the establishment of a Federal System of Government in the country consisting of two linguistic States. The leader of the ITAK, Parliamentarian Mavai Senathirajah had protested against this suggestion while speaking to the media, questioning as to why all four ministers should resign when only two had been found guilty. The Chief Minister had accepted this stand when the report was put to debate in the council on Wednesday. The NPC and Wigneswaran were in the limelight again this week with his call for two of his ministers to resign and for the other two ministers to go on leave following an investigation into allegations of corruption, which has now created a crisis situation in the Provincial administration. The investigation was carried out by a three member committee headed by retired Justice S. Thiyakenthiran following complaints made by 16 members of the Council against all four out of five members of the board of Ministers of the PC, excepting the Chief Minister. The other members of the committee appointed last year by Chief Minister Wigneswaran were retired Justice S. Paramarajah and retired District Secretary S. Pathmanathan. The more than 80-Page investigation report of the committee, which was handed over to the Chief Minister last week had found two Ministers - Education, Cultural Affair, Sports and Youth Affairs Minister T. Kurukularajah and Agriculture, Agrarian services, Animal Husbandry, Irrigation, Water Supply and Food Supply and Distribution Minister P. Ayngaranesan -guilty of the charges. Two Ministers, the Transport Minister P. Deniswaran and Health Minister Dr. P. Sathyalingam had been cleared of the allegations by the committee. Mr. Kurukularajah had been accused, among others, of ordering irregular transfer of teachers in the North overruling Ministry Secretary and causing deterioration in the standard of the education in the province. Malpractices in renovation of agricultural wells were one of the charges levelled against Ayngaranesan. Upon receiving the report, the Chief Minister had called on all four Ministers earlier to resign from their posts and it aggravated the already soured relationship between him and his party. Senathirajah also accused the Chief Minister for not consulting his party or the TNA on any matter discussed in the council. Wigneswaran officially represents the ITAK in the council and it was the TNA, an amalgam of five parties that fielded Wigneswaran as the Chief Ministerial candidate under the symbol of the ITAK at the 2013 Northern Provincial Council elections. Education Minister Kurukularajah had handed over a letter informing of his decision to resign from the Minister post to ITAK leader Senathirajah, who had refused to accept it while advising him to hand it over to the Chief Minister. The report of the investigation was presented in the council for debate on Wednesday, where the Opposition members and several ruling party members staged a walkout accusing that they were not allowed to air their views in the council. The Chief Minister read out a statement in which he said that the investigation was based on the complaints made by 16 members of the council, some of whom were interestingly against the findings of the probe. The crux of his statement was that the two Ministers, who were found guilty of charges, should hand over their letters of resignation to him by noon yesterday. Interestingly, the other two Ministers, who had not been found guilty by the committee, were also instructed to hand over their requests for a month’s leave, until a further investigation on the charges against them was carried out. He said that the leave period could be extended if there was a necessity. On the same day 21 members of the 38 member council had handed over a no-faith motion against the Chief Minister to the Northern Province Governor Reginald Cooray. Since the Opposition has only eight seats in the council it is clear that majority of those who signed the no-confidence motion belonged to the ITAK -the party Wigneswaran too represents. 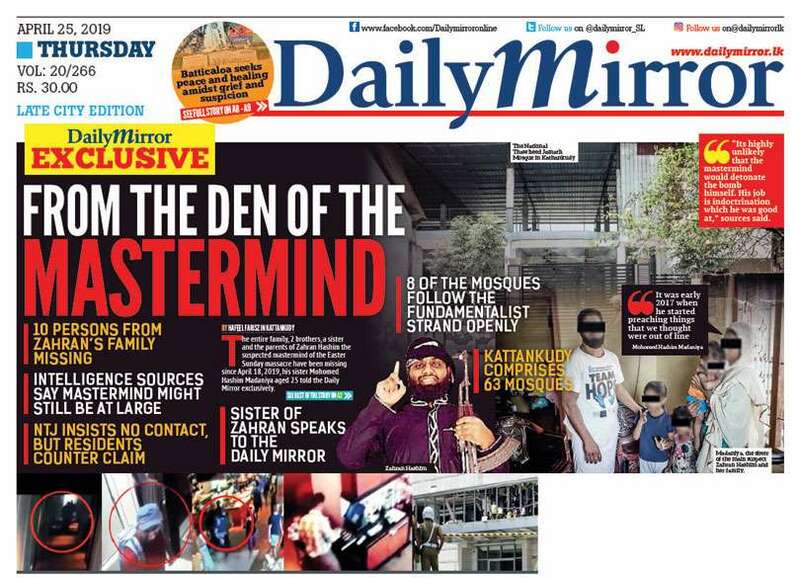 This, along with Wigneswaran’s statement that some of those members who initiallycomplained against the ministers refused to accept the findings of the investigation and his instruction to the ministers not found guilty to go on leave raises the question as to whether the anti-corruption drive of the Northern Provincial Council has been politicized, as what happened to that of the central government. Also, the whole episode points to the heightening of conflict between the ITAK and Wigneswaran, who had sided with the other constituent parties of the TNA, to form the Tamil National Council, with a view to challenging the TNA leadership. The current issue might even be a turning point in the ongoing conflict and thereby in the Northern Tamil politics. However, the investigation process against the ministers of the NPC, though now seems to be politicised, is something opposit to what is going on in the Centre, let alone the other Provincial Councils. Can one expect the Government to appoint a committee to investigate into the allegations against Government Ministers, when the anti-corruption drive in the Centre seems to be gradually being forgotten?